Your birthday is truly your day. A day all about you! 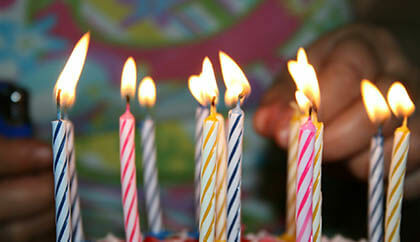 Whether you’re turning 16, 18, 21, 25, 30, 40, 50, or any age in between, you deserve to be celebrated! We suggest a party with friends, family, good music, good food, cake, drinks (for the 21 and over crowd only, of course), and a party bus or limousine from Party Bus Denver! Your birthday is the day you’re supposed to get your way, right? You’ll always get your way with Party Bus Denver! We have the best service, hands down, from our agents to our chauffeurs and we’re here to make sure your day goes the way you want it! When booking the rental for your event, let us know if you want the bus decorated (ie. a “Happy Birthday” message painted on the bus, balloons, ect) and we’ll make sure it’s all set for you! If you want your party to begin promptly at 2pm, midnight, or any time in between, we’ll be there right on time with your appropriately decorated bus! Birthdays for all ages: We repeat: Your birthday is YOUR day! So celebrate it right with a party bus or limousine from Party Bus Denver. We can take you to any restaurant, club, bar, or other destination in Denver (or anywhere in Colorado) to celebrate the way you want. Our buses and limos are perfect for setting a great party atmosphere or a laid back elegant atmosphere. Whatever you want, we have it! 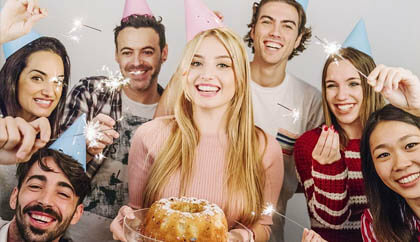 Teenage birthdays: Parents, are you planning a sweet 16 party or other birthday celebration your teen? Denver Party Bus can make the perfect addition to the celebration! We have a wide selection of party buses and limousines so whether you’re planning a big blowout or an elegant dinner with the family we’re sure to have just the vehicle you’re looking for! Our safety policies for transporting minors and strict and always enforced so you’ll have no worries if you’re sending the party off without you. Give us a call for more details on our minor policies! 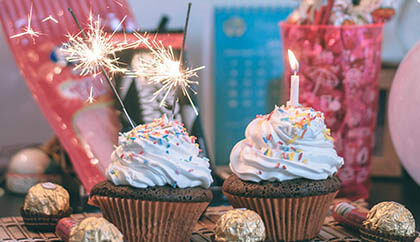 Twenty-first birthdays: Your 21st birthday is quite possibly the most exciting birthday, so why not go all out? Denver Party Bus has the best buses and limousines so your 21st birthday can be everything you ever dreamed of! Our buses and limousines have beautiful custom leather seating so you can travel in the ultimate comfort and style; they have custom sound systems so you can blare your favorite music and party as loud as you want; flat screen TVs with DVD players so if you want to watch your favorite movie you can; and our buses, which have standing room, feature hardwood floors and dance poles so you can turn the bus into a night club if you’d like! And what would a 21st birthday be without some drinks? Our buses and limos have on-board bars so you can chill, mix, and serve up your favorite cocktails! Whether your Denver birthday is taking you to Chances, Beta, The 1Up, Mario’s Double Daughter’s Salotto, Herb’s Hideout, or any bar, club, or arcade in between you can arrive in amazing birthday style!